Our 3-week intensive gives advanced/professional dancers ages 18+ the opportunity to research a variety of contemporary dance approaches and tools essential to equipping today’s contemporary artists for careers in our ever-evolving field. Sessions will be led by members of New Dialect’s faculty, BANNING BOULDIN and guest artists, ALEX KETLEY and YIN YUE. Classes include Improvisation, FoCo, Ballet for Contemporary Dancers, Movement Generation, Dance Theatre techniques, Contemporary Partnering, Somatic Practices, Contact Improvisation, and New Dialect Repertory. Participating dancers will draw on their research of these methods to engage in a daily creative process led by artistic director, Banning Bouldin. New Dialect's Summer Intensive 2019 will culminate in a site-specific installation and showing on Friday, July 19, at 5pm. All applicants will receive email notification of their admission status no later than April 20. Tuition for our 3 week Summer Intensive is $1200. New Dialect does not provide housing, meals, or transportation. Please inquire for a list of housing and travel options. ALEX KETLEY is a choreographer, filmmaker, and the director of The Foundry. BANNING BOULDIN is the artistic director of New Dialect. Alex is an independent choreographer, filmmaker, and the director of The Foundry. Formally a classical dancer with the San Francisco Ballet (1994-1998), he performed a wide range of classical and contemporary repertory with the company in San Francisco and on tour throughout the world. In 1998 he left the San Francisco Ballet to co-found The Foundry in order to explore his deepening interests in choreography, improvisation, mixed media work, and collaborative process. With The Foundry he has been an artist in residence at many leading art institutions including Headlands Center for the Arts (2001 & 2007), Yerba Buena Center for the Arts (2002), The Yard (2003), the Santa Fe Art Institute (2004 and 2006), the Taipei Artist Village (2005), ODC Theater (2006 & 2017), the Ucross Foundation (2007), and the Vermont Performance Lab (2014). The Foundry has produced fifteen full evening length works. Alex Ketley has also been commissioned to create original pieces for companies and universities throughout the United States and Europe. His pieces and collaborations have also been awarded Isadora Duncan Awards in the categories of Outstanding Achievement by an Ensemble (2009), Outstanding Achievement in Choreography (2011), and Outstanding Achievement by a Company (2011 & 2012). YIN is the Artistic Director of YY Dance Company and is internationally recognized as a versatile performer and choreographer. Born and raised in Shanghai, China, she trained rigorously in technically-demanding and highly-structured Chinese classical and folk dance, as well as classical ballet technique at Shanghai Dance School. She earned her undergraduate degree at Shanghai Normal University, equipping her with performance credits that spanned festivals and showcases throughout China. After further pursuing her MFA in dance from NYU's Tisch School of The Arts in 2008, Yin quickly gained recognition as a unique and exceptional talent among her peers. Yin created an innovative contemporary dance technique FoCo Technique that soon caught the attention of the dance industry and was taught by Yin Yue around the world. Yin Yue was the winner of Hubbard Street Dance Chicago 2015 International Commissioning Project, winner of the 2015 BalletX Choreographic Fellowship, and winner of Northwest Dance Project’s 5th Annual Pretty Creatives International Choreographic Competition in 2013. Through these high-profile successes, Yin was commissioned by all three widely-recognized companies as well as other companies and organizations namely Limon Dance Company, Alberta Ballet in Canada, Whim W’him, Bruce Wood Dance, Boston Dance Theater, 10 Hairy Legs, New Dialect, Balletto Teatro di Torino in Italy, Backhausdance, Tisch School of The Arts. She was also awarded First Place in Choreography at National Professional Dance Competition in Shanghai, China, 92Y Harkness Dance 2016-2017 Artist In Residence, Emerging Choreographer of 2015 at Springboard Danse Montreal, as well as a finalist at The A.W.A.R.D Show 2010! presented by New York The Joyce Theater Foundation. Her work has been recognized by organizations and festivals such as SummerStage, Jacob's Pillow Dance Festival Inside Out, Schrit_tmacher Festival in Aachen, Germany, Open Doors Dance Festival in Iowa City, New York International Fringe Festival, DanceNOW[NYC] at Joe's Pub, Peridance Capezio Theater, New York Live Arts, Dixon Place, La MaMa Moves International Festival and many more. Yin Yue’s repertoires have been re-staged by Rutgers University, George Mason University and dance studios such as MoveNYC, Dancewave, CityDance. Banning is a Nashville native and received her BFA in dance from the Juilliard School in 2002. She spent the next eight years working internationally with some of her field’s most renowned companies, dancers, and choreographers: The Cullberg Ballet of Sweden, Mats Ek, Johan Inger, Hubbard Street 2, Lar Lubovitch Dance Company, Sidi Larbi Cherkaoui, Alexander Ekman, Buglisi/Foreman Dance, Wen Wei Wang, and others. She was a soloist, master teacher, and rehearsal assistant during her tenure with Aszure Barton and Artists from 2003-2010. In 2007 she began to develop and teach her own syllabus in Paris at the Theatre de la Danse and Studio Harmonic. That same year she joined Rumpus Room Dance, based both in Portland, Oregon and Goteborg, Sweden, where she had the opportunity to co-create and perform multiple site-specific dance works. She and her Rumpus Room colleagues were nominated one of Dance Magazine’s “25 to Watch” in 2010. She has taught master classes in the US, Canada, and Europe, has performed worldwide, and has been featured in four films, as well as in articles in Dance Magazine, The New York Times, and Dance Spirit. In the Fall of 2010, Bouldin returned to Nashville, where she was engaged as a contemporary dance instructor and guest choreographer for the School of Nashville Ballet and Vanderbilt University. She has since been commissioned to create work for the Nashville Ballet, Visceral Dance Chicago, Springboard Danse Montreal, Whim W'Him (Seattle), SALT (Salt Lake City), Booker T. Washington High School for the Performing & Visual Arts (Dallas), Groundworks (Cleveland), the Fine Arts Center (Greenville), the Juilliard School, and others. Bouldin formed New Dialect in 2012 in response to the need in the Nashville community for a rich and relevant contemporary dance company that would allow dancers, teaching artists, and choreographers the opportunity to explore the wide variety of groundbreaking movement vocabularies that exist in the world of 21st Century dance. 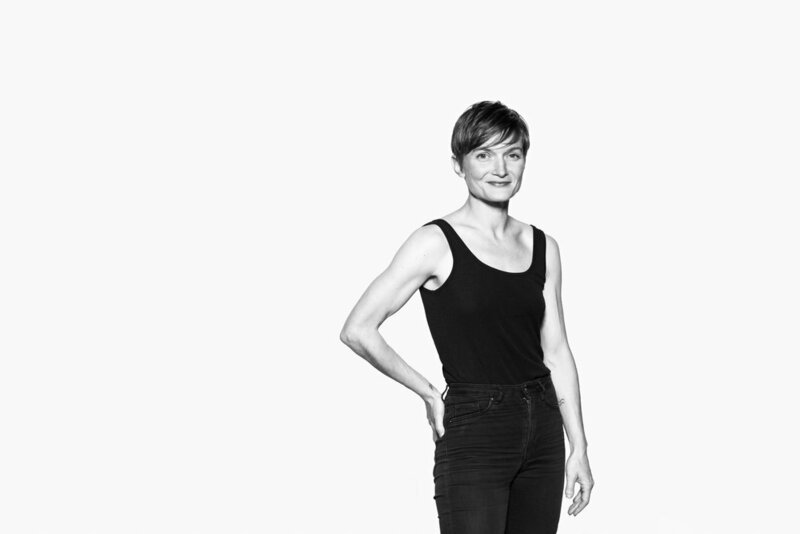 In 2015, she was selected one of seven choreographers to participate in Springboard Danse Montreal's Emerging Choreographers residency and was the winner of Northwest Dance Project's Pretty Creative international choreographic competition. In 2016, she received a Tennessee Arts Commission Individual Fellowship Award and was nominated for a United States Artists Fellowship. Her latest work, The Triangle, will premiere at OZ Arts Nashville on February 22-24, 2019.